Rachael Brown, Southwest Schools’ agriculture teacher and FFA adviser for the past three years, is being recognized as one of the best young teachers in the state. Brown was selected to receive the National Association of Agricultural Educators (NAAE) Outstanding Young Member award. Each year, the NAAE selects one young teacher as their outstanding member. Brown was encouraged to apply for the award due to the improvements she’s made to the ag. program at Southwest in both classes and the FFA. Criteria for the award include teaching methods, instruction style, hands-on experience, marketing their program and teaching philosophy. Teachers have to have been instructing ag. classes for two to five years to qualify. Brown began teaching four years ago after graduating from the University of Arkansas–Fayetteville in 2012. She took a position from Kansas, near where she grew up in Jasper, before taking a position at Southwest three years ago. Since taking over, the Southwest ag. program had a new greenhouse built, allowing the ag. classes and FFA to host a plant sale and learn the ins and outs of greenhouse management. However, Brown considers her biggest accomplishment to relate to community. She said, “I’m really proud the students are getting back to serving the community and doing service programs. We started the Angel Tree program back again, as well as greenhouse sales and hands-on activities.” Angel Tree allows younger Southwest students to write what they want for Christmas, and the FFA raises funds to purchase items as well as seek donations to ensure the kids have a good Christmas. 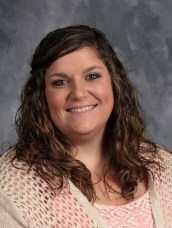 Brown will receive her award at the Missouri Vocational Agriculture Teachers Association conference in Springfield in July. Her application will then be sent of for a regional and national competition. Brown resides in Washburn with her husband, Brett, and their daughter, Raeleigh, just under two years old.